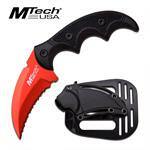 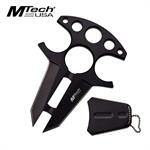 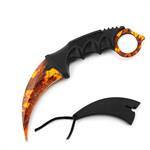 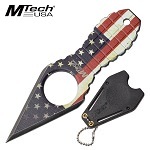 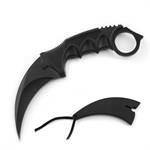 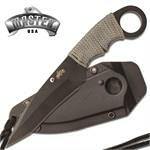 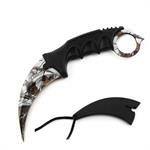 Tactical Double Edge Neck Knife Black Handle with Finger Ring Holes. 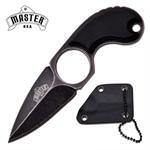 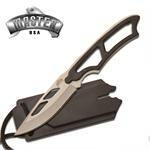 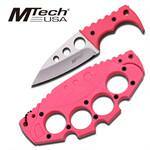 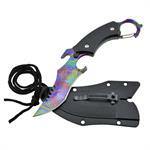 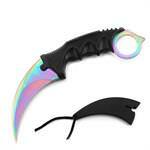 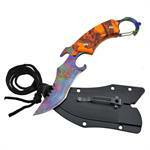 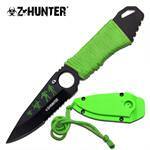 4.5" overall length with 2.5" stainless steel blade. 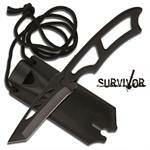 Survivor Neck Knife. 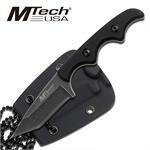 6.75" Overall in length. Includes injection molded hard case. 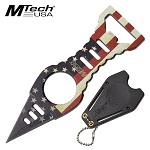 Full Tang Tactical Blade Neck Knife With Whistle On Sheath. 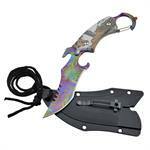 Silver Finish Drop Point Stainless Steel Blade. 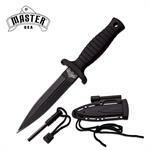 6.75" Overall in length. 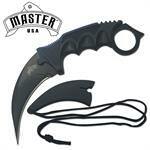 Survivor Neck Knife All Black Stainless Steel Tanto Blade. 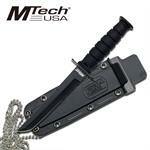 6.5" Overall in length.